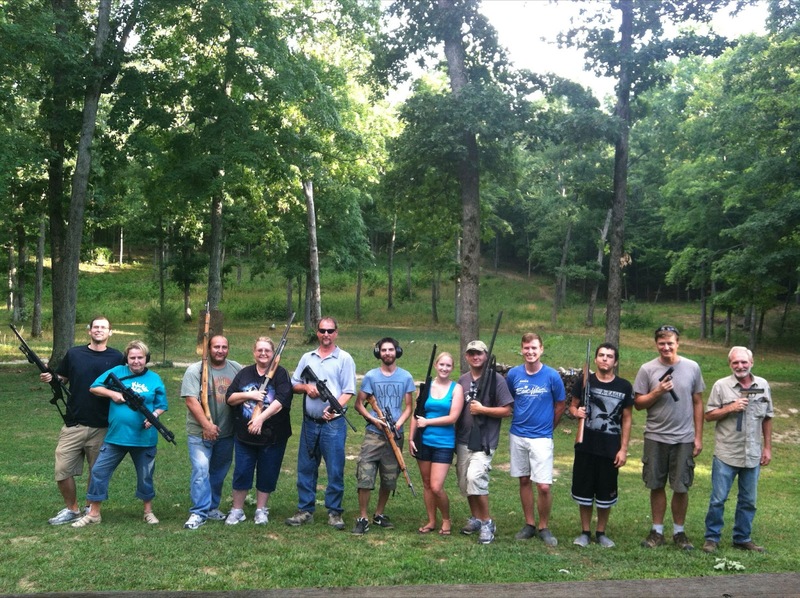 Last Christmas when most of David's family was in town, we had them all out to shoot guns. This week his family is in town to celebrate Father's Day and his grandpa's 80th birthday. We had a party at his grandpa's house on Sunday, and decided that we'd have everyone out on Monday afternoon to hang out and shoot guns. I had no idea that David owned that many guns!